Most dads would agree that a grilling accessory is a much better Father’s Day gift than a tie. With Father’s Day just a month away, now’s the time to promote barbecue accessories as great gift items. The Looftligther, from Looft Industries, is hands down one of the best gifts for Father’s Day. It lights a charcoal grill or fireplace in 60 seconds without the use of lighter fluid, ignition cubes or other dangerous chemicals. This safe, clean and eco-friendly device is ideal for use on lump charcoal, Heat Beads® and hard wood, making it a great tool for lighting fireplaces and grills. “I think we have the world’s best product to light charcoal, briquettes and wood,” says Richard Looft, inventor of the Looftlighter, and founder of Looft Industries. Looft notes that the electric powered product is a very clean, safe and environmentally-friendly way to cook great tasting, quality barbecue. In Sweden (where Looft Industries is based) 10 million bottles of lighter fluid are used annually, Looft says. With the expansion of the Looftlighter, the use of potentially harmful chemicals can be drastically reduced. 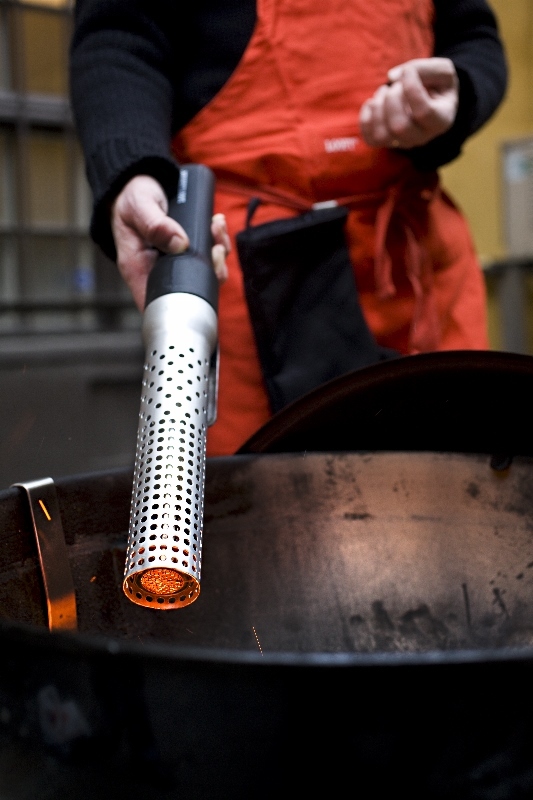 The Looftlighter is also easy to use and is especially popular with Green Egg and Kamado grill users because using lighter fluid with these products is not recommended. More than 200,000 Looftlighters have been sold as barbecue and hearth fire lighters in more than 30 countries throughout the world.